A clean espresso machine is a happy espresso machine. That means better coffee, which of course is the key to any successful café. 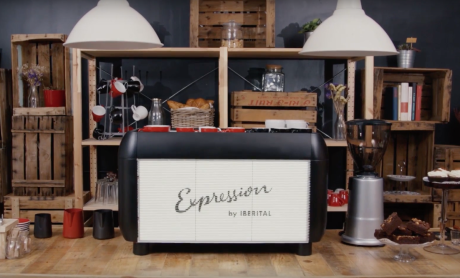 Whether you’re in the business or just a coffee lover, it’s still good to know these five essential tips to keep your espresso machine clean and healthy. Have the proper cleaning agents and tools on hand. There’s a wide range of tools you need in order to take good care of your machine. There are brushes with fibers specially designed to brush out any leftover coffee grind and stubby screwdrivers you use to remove the screen in order to clean it. But perhaps more importantly, you’ll need the right powdered detergent for your espresso machine. In order to find a good brand, you can do a little online research or you can ask around the coffee community for recommendations. There’s Puly Caff for example, which will get rid of any oil residue left by the coffee itself without any soapy or chemical aftertaste. Never use regular soap! That will surely modify the taste of your coffee and can eventually damage the machine. Once you choose the right detergent for you, make sure you clean your portafilter and basket once a day by leaving it soaking in hot water and the proper dose of detergent. Backwash every day. Proper cleaning habits can make or break your machine. Make it a habit to backwash your machine everyday by putting in a blind basket and turning on the water. The water will then run inside the machine and rinse out the grouphead. This must be done 7 times. Run the water for 15 seconds, turn the water off for 2 seconds and repeat that 7 times. The first time you do it, make sure you use a specific dose of the powdered detergent. Flush! Flushing is when you let water go though the screen or steamer to flush out anything that is still stuck in there. 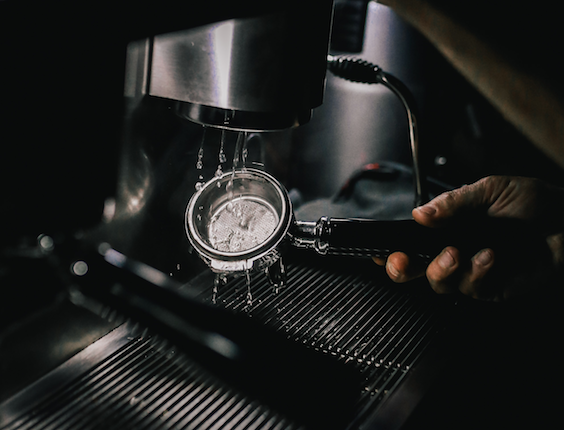 Every serious barista knows to flush before and after every shot and if you have a machine at home, it’s probably not a bad idea to do it too. Some machines may have it programmed but it takes about 2 or 3 seconds. Not only does this keep you machine clean, it also helps warm up the grouphead for the next pull. Don’t forget your steamer. 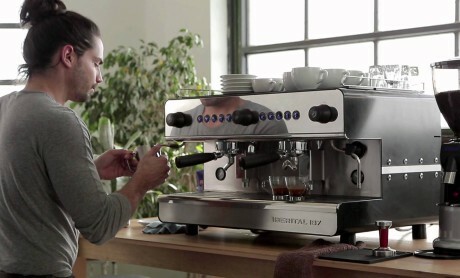 Cleaning your steam wand regularly by flushing it is also an essential practice among serious baristas. Flush before and after every use during the day or unscrew the little head of the steamer for more thorough flushing, this will get rid of any stale milk stuck on it and inside as well as any leftover condensed water that can end up in your milk. It is also necessary to clean the steamer with a damp cloth. Use a microfiber cloth. A machine-washable microfiber cloth won’t leave any marks when you wipe anything off the exterior of your machine. Unlike any other cloth, the microfibers will not leave any marks on the stainless steel, leaving your machine always looking brand new! But it’s not just your espresso machine, cleaning your coffee grinder is just as important. Remember to remove the hopper to clean it thoroughly, always grind out any excess coffee leftover in the grinder, make sure to brush out or vacuum the inside and wipe the outside with a towel or rag. As strict as these rules may sound, they are key for every specialty coffee shop and for your machine at home. Keeping a clean environment will undeniably make for better coffee enjoyment. And remember, it’s not only about keeping your espresso machine clean, taking proper care of your tools, cleaning your grinder properly and keeping your counter presentable is all part of the larger specialty coffee experience.